I repeat, there should be criminal penalties regarding that law instead of fines, which the big banks take as a slap on the wrist, without admitting criminality! The system is rotten to the core, and Henry Blodget is rotten for his views of the system. Here Blodget, a man banned from Wall Street for life, has a chance to make things right. He has a podium at Business Insider and at Yahoo, to make the case against the bankers and make a case that their behavior is criminal. After all, he was banned for far lesser crimes than have been made by the TBTF banks! Yet he seems determined to protect the banks, and to play down scandal. The banks already force companies to take the wrong side of the bet regarding interest rates. The companies, if they want loans, must take the higher fixed rate of the swap. This is not a choice, as they have no choice. 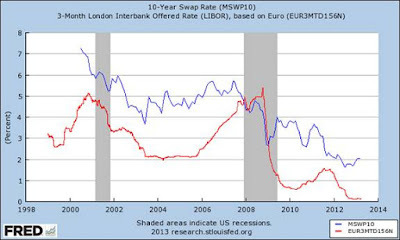 And now we know that LIBOR and the interest rate swaps rates themselves are being manipulated by the TBTF banks. And that is not criminal? How, Henry, is that not criminal? Are you sans conscience Henry? Apparently so. You constantly write articles regarding how big business should pay workers more, and how big business like Walmart and the others should help in the recovery on main street. But it is clear to me that the really big companies want no part of this Wall Street conspiracy to control lending and profit off of bogus derivatives forced upon lesser companies. In other words, these big companies need a boatload of cash in order to stay free of Wall Street. It is Wall Street, Henry, that is forcing big companies to pay less to workers and have strong cash positions. So your articles as some self styled crusader against corporate bad behavior is just a joke. You refuse to get to the core reason for why corporations exhibit bad behavior. The core reason is they don't want to deal with the big banks in the UK and US. I introduced Matt Taibi's article to this blog here. The article condemns the big banks for their collusion and extraction of tribute from corporate America. The article condemns the manipulation of what is already a filthy requirement that businesses take the bad side of swaps if they want a loan. I wrote about that too. 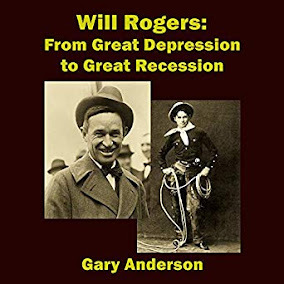 So, it is everywhere that you turn that the big banks are manipulating markets and making loans that are dreadful to the borrowers, and main street just suffers the fraud associated with these bad loans. The bad lending rottenness is like a beat that keeps on going on. The new financial order is predatory. Matt Taibi now understands that this cabal is predatory and dominant. And it is why we cannot have a strong recovery on main street. Starting with Thatcherism, deregulation and the establishment of derivatives swaps gone wild have been a plague upon the American dream. These swaps forcing tribute to the big banks are UnAmerican! Add to all this the commodity speculation that we who buy gas and food experience, and the financial fleecing of America seems to know no bounds. Add to this threats for a cashless society and the Cyprus theft of savings accounts and we can see the financial order vice is squeezing America and the world, with more force than the most criminal mafia could do. And Henry Blodget doesn't seem to give a damn about any of it. Prove me wrong Henry. You are a young man. Make it right! See also: Is Marty Feldstein Lying about the Coming High Interest Rates?